Air Canada Centre will be the site of the final matchup between the Senators and Maple Leafs this Saturday, and the game will be the most expensive NHL game this week. The Sens have gone 2-1-0 over the first three meetings with the Leafs and look to end on a high note in Toronto this weekend. The Blackhawks, Jets, Canadiens and Red Wings also host top-priced games at home through the end of the week. The Maple Leafs’ home-heavy schedule continues over the next couple weeks, but Friday’s contest against the visiting Senators is sandwiched between road contests in Columbus and Carolina. In the NHL’s most expensive game of the week, Toronto is looking to salvage a season series split with a victory in the contest against Ottawa. Maple Leafs tickets against the Senators currently average $338 and the get-in price is $117, as the Senators look to move up in the standings. On Saturday, the Blackhawks will play their first home contest of February, but they can stay home for a week because of their lengthy gap between games. Chicago looks to continue its five-game winning streak with another win against the Oilers. Blackhawks tickets on TicketIQ currently average $316, and the cheapest available tickets start from $122 each, and those who purchase will receive a Patrick Kane Ty Teeny TY Beanie Baby. The Blackhawks looks to continue to make ground on the Central Division-leading Minnesota Wild. On Tuesday, the Jets and Stars will both look to get out a funk. Both teams have encountered four-game losing streaks recently. The Stars’ slide started at the beginning of February and ended on Saturday against Carolina. However, Winnipeg’s four-game losing streak is the longest current one in the league. 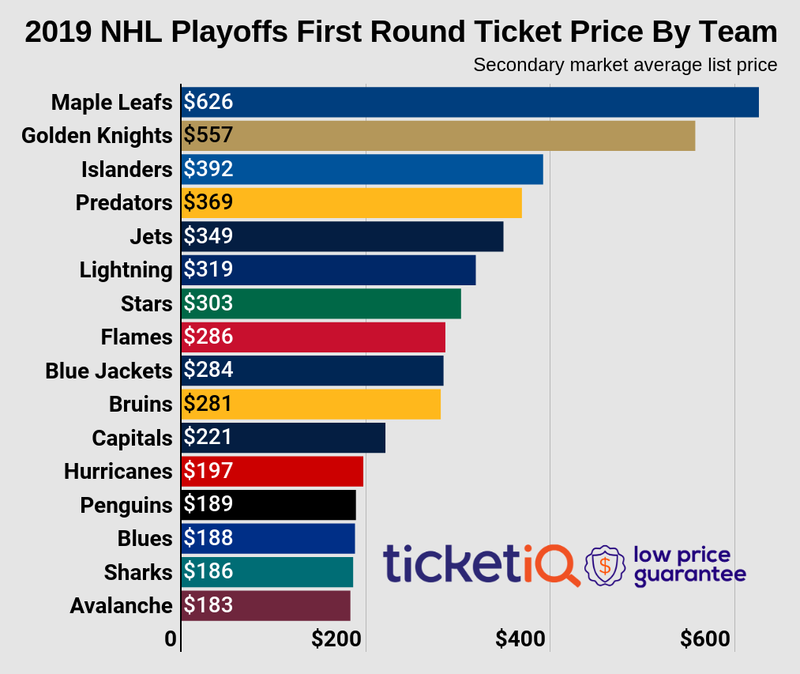 Jets tickets on TicketIQ currently start from $57 each and average $259, as the teams meet for the last time this season. February has not been treating the Jets or Canadiens well. Montreal’s schedule has been busier than Winnipeg’s, as the Canadiens have already dropped six of their seven contests in the month. However, Montreal will have five days off before hosting the Jets on Saturday. Canadiens vs. Jets tickets average $244 and the get-in price is $111, as the Canadiens attempt to sweep the seasons series from the Jets. At Joe Louis Arena, the Red Wings will be looking for their first victory against the league-best Capitals this season. Just nine days before Saturday’s contest, Washington hosted Detroit and defeated the Red Wings, 6-3. Detroit’s frustrating season continued over the last couple games, as the team has put together another four-game losing streak. Red Wings tickets at Joe Louis Arena currently average $239 and the get-in price is $115, as Detroit looks for the upset in front of its home crowd.